Concerns have been raised over the legal aid system with the number of solicitors who have withdrawn from providing cover in Scottish police stations increasing fourfold. Falkirk district has seen eight advocates pull out from the region’s duty rota in 2018 after new rules – deemed “not financially viable” by local solicitors – were introduced by the Scottish Government at the turn of the year to extend the hours lawyers are available to give advice to suspects in custody. Figures obtained by the Scottish Liberal Democrats reveal that in 2017 just two solicitors in Falkirk district withdrew, while there were no withdrawals the year previously. Legal aid is currently provided in Falkirk’s police stations by three solicitors from the government-funded Public Defence Solicitor’s Office and a solicitors’ contact line, leaving some of those held in custody relying on telephone advice. To date, 272 solicitors across the country have removed themselves from police station duty plans, compared with 64 taking such action in 2017 and 69 lawyers withdrawing two years ago. Scottish Lib Dem justice spokesman Liam McArthur MSP has called on the government to address the capacity issues in the system. He said: “The number of solicitors withdrawing from this legal aid programme has skyrocketed. “The scale of the departures show that legal aid as it currently operates doesn’t work for those tasked to provide this critical service. “The failure to resource and prepare properly for this has led to many professionals having to opt out. 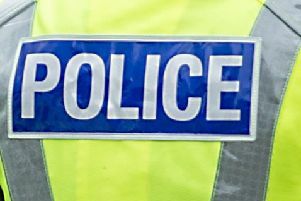 Solicitors working in Falkirk district have called for more “sensible thought” to be given to the hours they are asked to work and the pay lawyers receive for police station duty cover. Simon Hutchison, dean of Falkirk and District Faculty of Solicitors, said: “When the government released the new rules on us to attend at all hours of the day we said we’re not doing this anymore because it’s not financially viable. All of us have families and we work 9am-7pm during the day and we are expected to be at court at 10am the next day. The government has announced it will boost fees of solicitors who provide those in custody with representation by three per cent as of next April. A Scottish Government spokesman said: “Almost all those 272 solicitors who withdrew from the scheme in 2018 did so at the introduction of the new police station advice arrangements in January — these were effectively one-offs, as a direct result of the new arrangements. “Since then, numbers have remained steady. “The contingency back-up provided by Scottish Legal Aid Board solicitors has ensured advice continues to be made available in those areas where private solicitors are not participating in the scheme.